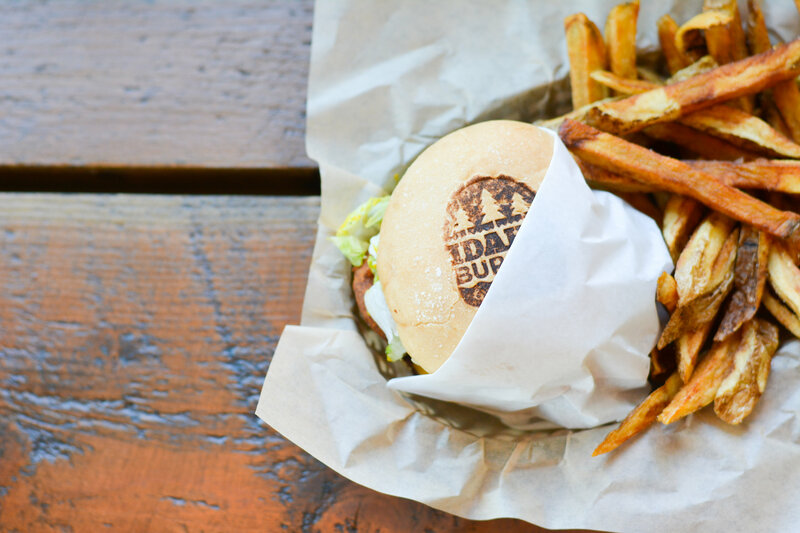 Idaho Burger Grill is a gourmet burger restaurant that focuses on fresh, local, and made from scratch items. We use hand-pressed Certified Angus Beef patties, local hand-cut Idaho potatoes, Great Harvest buns baked fresh daily, and many other sides made from scratch. Idaho Burger Grill was opened in May 2017 by St. Anthony native, Krysten Davis who graduated from SFHS in 2011 and BYU-Idaho in 2015.